Note to my recipe, fitness, and lifestyle lovers, this post will probably bore you to tears. This post is for my fellow bloggers or readers who may want to start a blog. For those of you that have ZERO interest in running a blog, please enjoy this picture of Nala and check back tomorrow for our regularly scheduled program! From the day I started Hungry Hobby I’ve loved the feeling I get when I publish a post. I never dreamed that Hungry Hobby would become what it is today and I’m glad I didn’t imagine it, the journey has been the most fun part. I think the constant newness of it and the endless opportunities is what keeps me going. I believe that it’s kind of like how Mr. Hungry likes to research stocks and bet on sports games; it’s the thrill of calculating winning. With winning though, comes losing sometimes and I’ve experienced my fair share of losses. I’ve invested valuable time, money, and hope into many things related to Hungry Hobby and sometimes they weren’t worth it. I think that you should expect that when you turn a passion into a career. I believe that the difference is that I think I always knew I wanted HH to be part of my “job” I just wasn’t sure how. Fast forward, and I spent the last year about 75% full-time blogging. (I also teach at a community college and work with Hungry Hobby RD clients. ) I’ve learned so much this last year I think it’s time to give back to the blogging world that has given so much to me, I want to share a few things I considered essential blogging resources, aka the winners. The things I find it worth to invest my time or money in because it gives me a return. I’ll try to keep this list as updated as possible with my favorite things going forward! PS Some of the links below are affiliate links because I think the service is the bomb and would recommend it anyway, I tracked down or signed up for an affiliate link, thanks for your support of HH! I’ve been with co-schedule since their early days, but I was VASTLY underutilizing their services. I also learned I was vastly under promoting my content. I would schedule social media shares one time per year for each post. 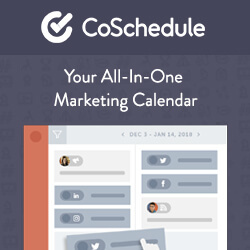 I now schedule them every 90 days for a two-years, plus I use the reque feature from co-schedule to automatically fill my social share calendar. I use this calendar for ALL my content planning. It also features tasks. I plan all my tasks using the calendar. I use this the most for freelance social media shares. For example, all the orange shares are for my Just A Pinch Blog Posts. I don’t worry about when the best time is to share, co-schedule does that for me. This feature will change your life. I had to have someone at co-schedule walk me through how to work this, but once I did it was like someone had given me the best Christmas present EVER! It used to take me 30 minutes to schedule social media messages; now it takes me five minutes tops (every 90 days on Twitter, Instagram, Facebook, and Tumblr)! So helpful to see where my top content is via social shares. Ability to automatically pin to Pinterest. I don’t use this feature a ton, but I do use every Sunday when I don’t want to be at my computer to pin my healthy meal plans when they go live. I LOVE this feature. Previously I was attempting to upload photos on a regular basis in another program. IT WAS SUCH A HASSEL AND RARELY GOT DONE. Now I use the templated scheduling feature and corresponding phone application that allows me to schedule to the Instagram right to the post, it’s a game changer. I mentioned this one already, but reque automatically and randomly shares old messages. (you can set groups and have some control over seasonality and stuff.) So, if there aren’t very many posts configured to share, Reque will fill in the gaps randomly. I have my reque messages built right into my template, so I don’t have to worry if I scheduled something to reque or not. I don’t even flinch at the number I spend on co-schedule every month, I know it’s WELL worth it. Plus, the co-schedule team is alway developing and making it better. 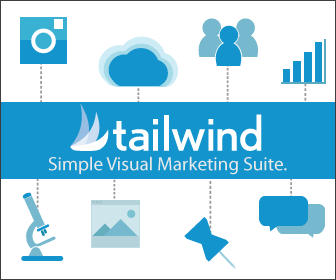 Tailwind is a Pinterest scheduling tool that makes it easy to schedule pins. They are recommended by Pinterest and Kate Ahl of Simple Pin Media (by the way if you aren’t on her Newsletter or listening to her podcast, that is another gift from the Gods you need to utilize.) I will happily fork over the money for a year-long subscription every year. I find a pin I want to schedule and add it to my preset cue, that’s it! For my pins that I want to pin to multiple boards, it allows me to set intervals in between my pins. So I can set my turkey bacon ranch bowls to go to my one pan dinner board and then to my dinner board 24 hours later (or whatever interval you set.) It’s fabulous. Create lists of my group boards that I typically pin to, then set them to interval pin in three clicks I can schedule 20+ pins. Makes it so easy to find new and exciting content to share with my community, readers, and followers. For instance, we have a tailwind tribe of just Dietitian Bloggers where I can find and share healthy recipes from all Dietitians! I’ve dabbled a little bit in their Instagram scheduling and pinning from Instagram; I think it might be a cool feature just one I haven’t sat down to look at yet. This is about keeping your old content fresh. I have my Hungry Hobby Recipes Board, Hungry Hobby Posts board and a few others to pull old content and pin it to the top. This keeps my old content from being buried where someone new may never see it! During seasonal times of the year, you can set up campaigns to pin certain things or refresh old content. I found this very helpful when creating or re-organizing my boards. The downside is boardbooster is not an approved Pinterest partner, but that doesn’t mean you can’t use it. It’s also not super user-friendly, I had to spend at least a full day on YouTube trying to figure it out. However, once I got it set up it was on autopilot and now I barely think about it. So, that is nice because I’m consistently refreshing my old content without having to think about it. Um, it’s no secret that I am not a strong writer. Thank God my three readers at the beginning of the blog looked past that and many of you continue to look past my terrible grammar. It still isn’t perfect, but Grammarly has helped me learn a lot about writing and catch more mistakes. I still get nasty emails about grammar on my site (like yesterday), but I’d probably get much more if it weren’t for Grammarly. In the past, I’ve used Pic Monkey and Picassa for blog pictures. Now I use Canva, and I LOVE IT, tons of super cheap stock images, great fonts, and layouts. You really couldn’t ask for anything better when it comes to helping with image creation. I currently make all my pins and Twitter images on Canva. They also rolled out an iPhone App which I used mostly for quotes and text overlay! This makes sure that your site is optimized for search engines if you want your site to be found by new visitors via search engines such as google, bing, and yahoo then this is a must. I use the free version which works fine for my needs right now. Milotree is the pop up you may see float up on the right-hand side of my site promoting my social media accounts. I love that it is nonintrusive and mobile friendly I learned about MiloTree on the Simple Pin Podcast and immediately decided to sign up for the premium plan. I know it’s working because the premium plan shows me analytics telling me how many people have click on it. Also, Jillian sends out excellent newsletters, so I love that as well! Guess where I found out about social warfare? Okay technically my awesome website developer, Katy, recommended them a while back but it was the Simple Pin Podcast which convinced me to purchase! I’ve used MailChimp for about two years now and have been extremely happy with how easy it is to use. It was free at first, but now that I’ve grown it costs more which I’m totally okay with. Build Your Blog by Gina H.
My friend and I were just discussing this book the other day, it is extremely well written and helped me grow my traffic over the last year by a huge amount! I know that I’m guilty of underutilizing all the awesome content on my site. Katy makes it easy to utilize that content in fresh ways! I also recommend Katy for any technical issues, she is my go to website developer! Templated food blogger and other blogger related contracts and legal needs! Super easy to use and very helpful! When I first went at blogging and opened my private practice my husband said I didn’t have enough income to warrant QuickBooks or my business bank accounts. We both agree that was just dumb beginners thinking. Trying to keep your personal finances separate on an excel document (which is what we did last year) is literally like walking blindfolded uphill in the snow during a blizzard. I should have set up Hungry Hobby LLC’s business checking account and credit card, plus QuickBooks self-employed from the beginning. Live and learn. So much learning, I can’t even tell you. So those are my favorite blogging tools that help me keep my sanity between blog posts! What did I miss? Anything my blogging friends out there love that I’m not using? I love Canva and mail chimp!! Definitely thinking about getting coschedule at some point! I have toyed with doing tailwind and boardbooster for a long time. I don’t know if I ever will, but I know that it would make a difference. I just need to commit! I should be thanking you! Learned a lot from all your posts in DOB! You are an inspiration! This is great info, thanks so much! Canva and Mailchimp yes! I will look at the ebook on building your blog…I love to write, love to blog, and am thinking about add-free monitizing. One that I am focusing on this year is Rainmaker platform for membership sites – that’s the model I’m investing in. Thanks! Interesting! Never heard of it! This is great! Some of these I already use but I haven’t heard of some and will definitely check out! Thanks for sharing! Haha….I still use excel! Too hard to separate out the personal groceries from the business groceries. oh ya that’s a big one! Whoa – this is an AWESOME post! I need all of these tips lol – thanks for putting them all together! Love this post! Super helpful. Great pointers Kelli! Definitely some things on this list that I need to try! This is such a helpful, informative post! I plan to dig deeper into it later and start utilizing these tools. Thank you!! This is so helpful! Thanks so much for sharing! !